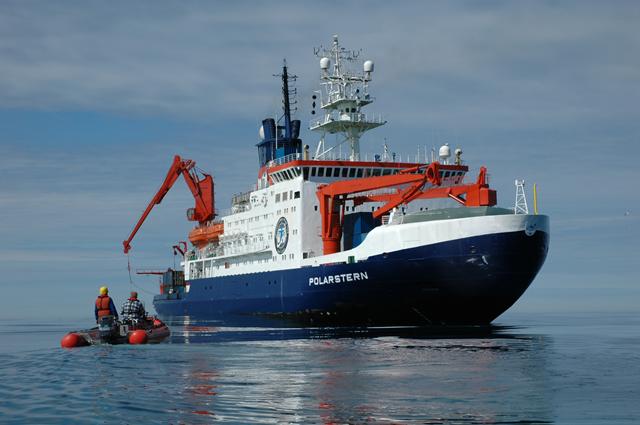 Polarstern, Research Vessel of Alfred Wegener Institute for Polar and Marine Research, Germany has commenced her 24th scientific voyage to Antarctica from Cape Town on November 28. 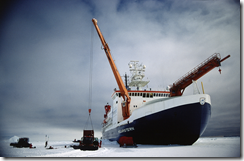 The vessel is on 10 weeks expedition on a scientific study, investigating climate change in the Southern Ocean area. 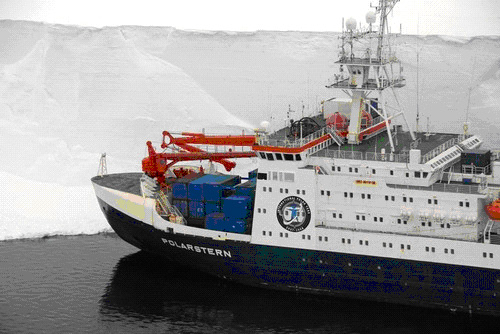 The Polarstern spends almost 320 days a year at sea. Between November and March she usually sails to and around the waters of the Antarctic, while the northern summer months are spent in Arctic waters. The Polarstern is a double-hulled icebreaker operational at temperatures as low as –50°C, which would enable her to overwinter in the ice sheets of the polar seas. 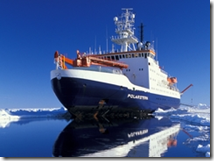 Polarstern can break through ice 1.5 metres thick at a speed of approx. 5 knots. Thicker ice must be broken by ramming. 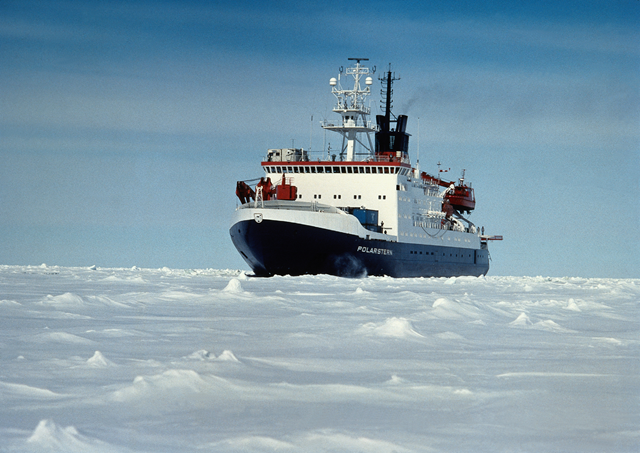 The ice-breaking research vessel Polarstern was commissioned in 1982 and will celebrate her 25th anniversary of service on December 9, 2007. 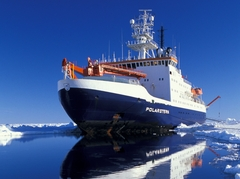 The Polarstern has completed a total of more than thirty expeditions to the Arctic and Antarctic. She was specially designed for working in the polar seas and is currently the most sophisticated polar research vessel in the world.The 53 scientists from eight nations aboard Polarstern said they will focus much of their work on climate-related research as part of the International Polar Year. 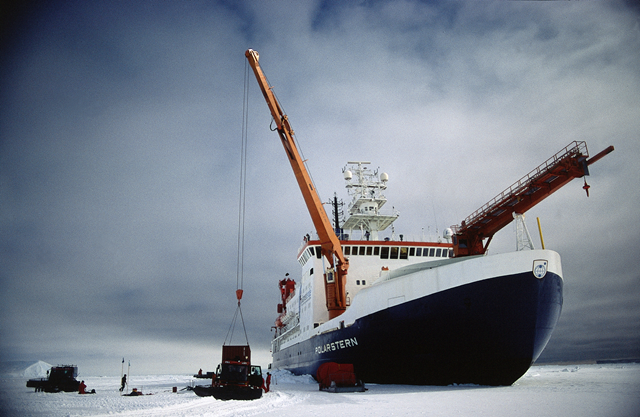 The ship is equipped for biological, geological, geophysical, glaciological, chemical, oceanographic and meteorological research, and contains nine research laboratories. Additional laboratory containers may be stowed on and below deck. Refrigerated rooms and aquaria permit the transport of samples and living marine fauna. 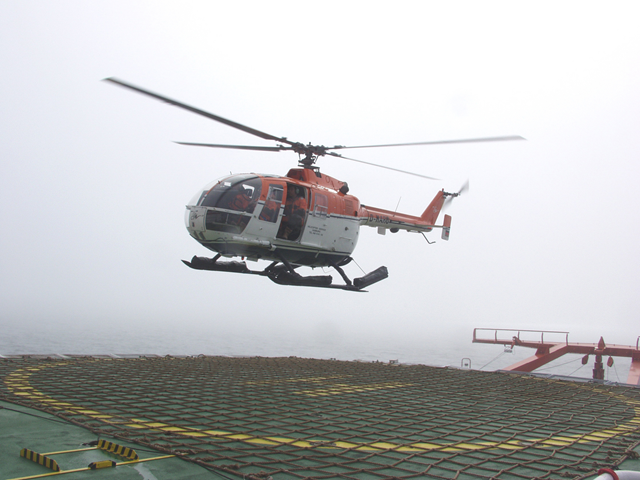 Research equipment and measuring instruments are positioned with the help of cranes and winches, sometimes at extreme depths. 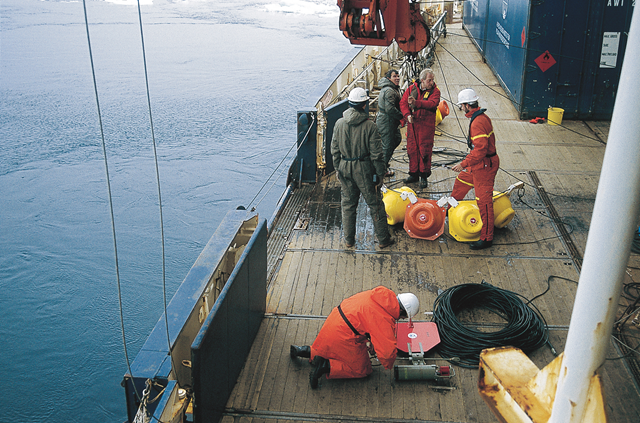 Special sounding devices with depth ranges up to 10,000 metres and which can penetrate up to 150 metres into the sea floor are available for scientific investigations. The computer system on board continuously captures and stores meteorological, oceanographic and other data as required. The ship has a crew of at most 44, and offers work facilities for a further 50 scientists and technicians. The scientific projects of the cruise are part of three major IPY projects. SCACE aims to investigate the physical and biological patterns in the Antarctic Circumpolar Current to understand the temporal and spatial variabilities that determine ocean productivity and water mass transport. SYSCO-ANDEEP aims to understand the impact of pelagic-benthic coupling on deep-sea biota in distinct regions between the STC and the Antarctic continent. LAKRIS aims to reveal the life cycle pattern, distribution and physiology of Antarctic krill in the Lazarev Sea. 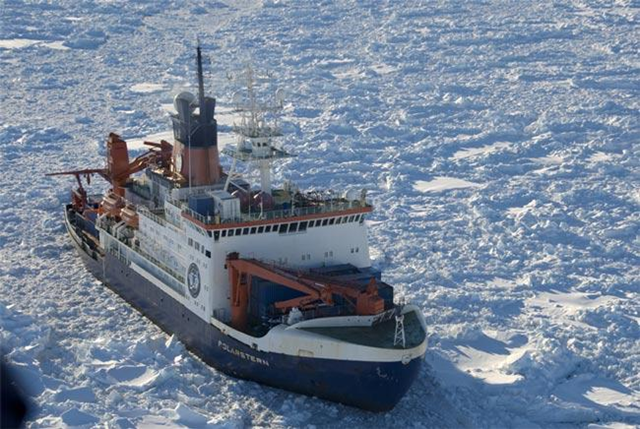 In addition to the science programme, RV Polarstern will support the logistic operations of two other ships that transport material for the construction of Neumayer III. 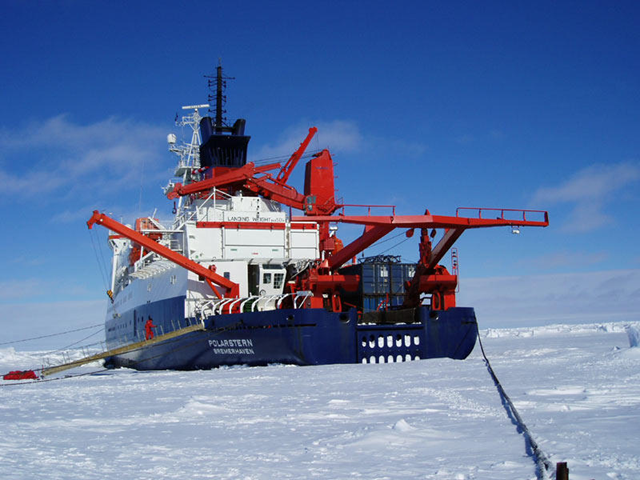 In addition Polarstern will supply Neumayer II as early as possible in the season but depending on sea-ice conditions. 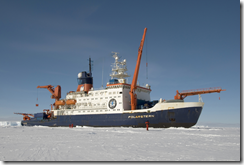 The research vessel Polarstern in sea ice. 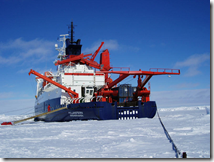 Expedition ANT-XXIII/8 to the Larsen-B ice shelf. On Polarstern: The logo of the international polar year (IPY) 2007/08. 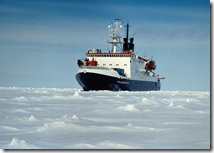 Click here to listen Polarstern’s toot. Click here to take a virtual tour of Polarstern.